Superhero-themed slot sees players fight mighty monsters as they travel through realms of Ice, Fire and Dark Forest. NetEnt has dialled up the entertainment with the introduction of exciting, first-time features in its latest release, Wild Worlds. The 5×5 cluster match 3-slot is a multi-level gaming experience with big-win potential and discovery. It contains three thrilling Free Spins worlds, where heroes attack evil monsters with different game mechanics. Each world includes its own special features: Dark Forest (Spreading Wilds), Ice World (Heavy Wilds) and Fire Lands (Random Wilds), with a player’s destination determined by a spin of the wheel that reveals what Free Spins world they get into. The release of Wild Worlds sees the debut of the base game’s Destroy Feature, which removes symbols of all colour but one on activation, and Hero Wilds, which turns all high pay symbols of the same type into Wilds whenever there is a win on a premium symbol. 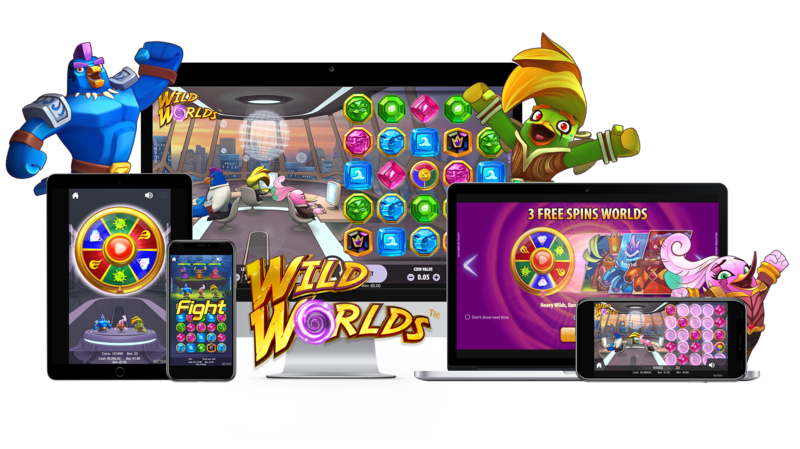 “We are very proud to welcome Wild Worlds to the NetEnt portfolio – it is a game like no other,” said Bryan Upton, NetEnt Director of Games.